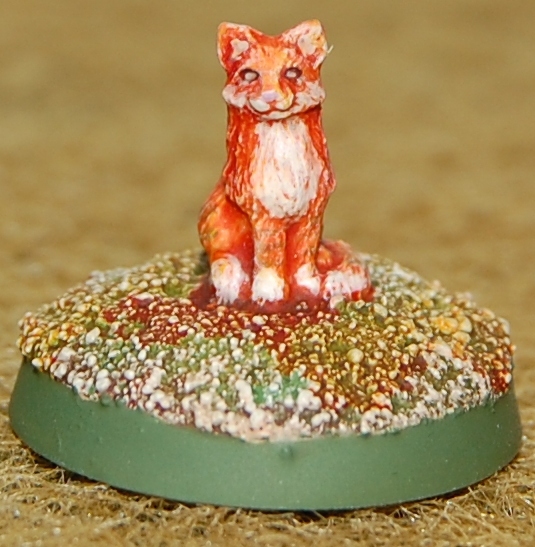 Gyrinx: psychic space cat and psyker’s familiar. He will be named Trim, after the cat belonging to Matthew Flinders, which seemed appropriate for a space-faring psychic cat and also a nice nod to a piece of Australian history. I made this piece of scatter terrain for my 40K table the other day. 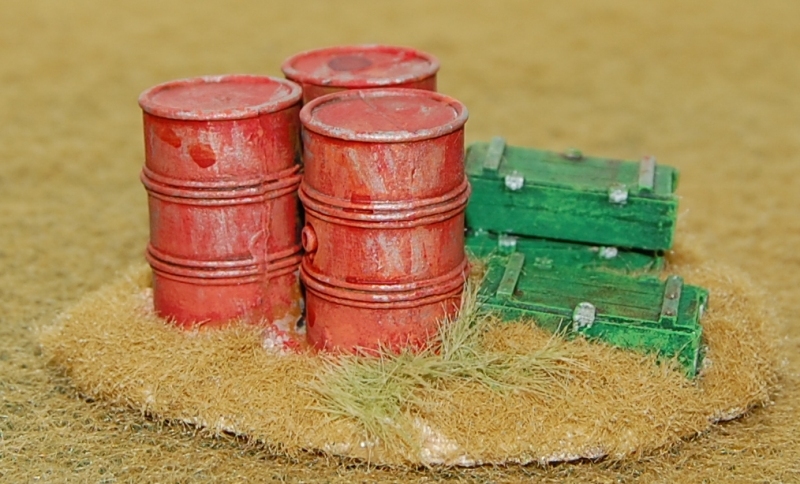 All of the studio photos from the 2nd edition era featured copious amounts of scatter terrain in the form of oil drums and various boxes (see the banner at the top of the page, for example! ), and this is my first homage to the genre. The barrels are GW (from the 3rd edition box set but still available from GW) and the ammo boxes are resin pieces by Victoria Miniatures.